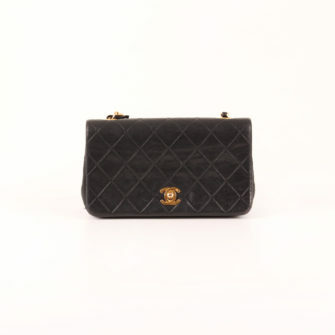 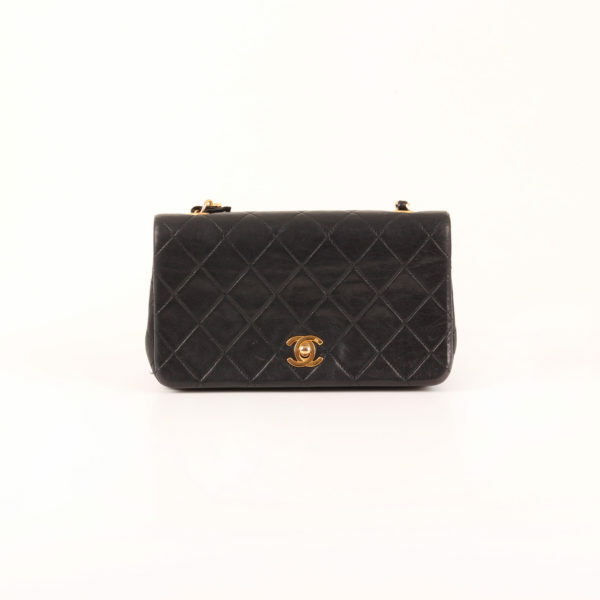 Chanel Vintage Timeless Flap Bag. 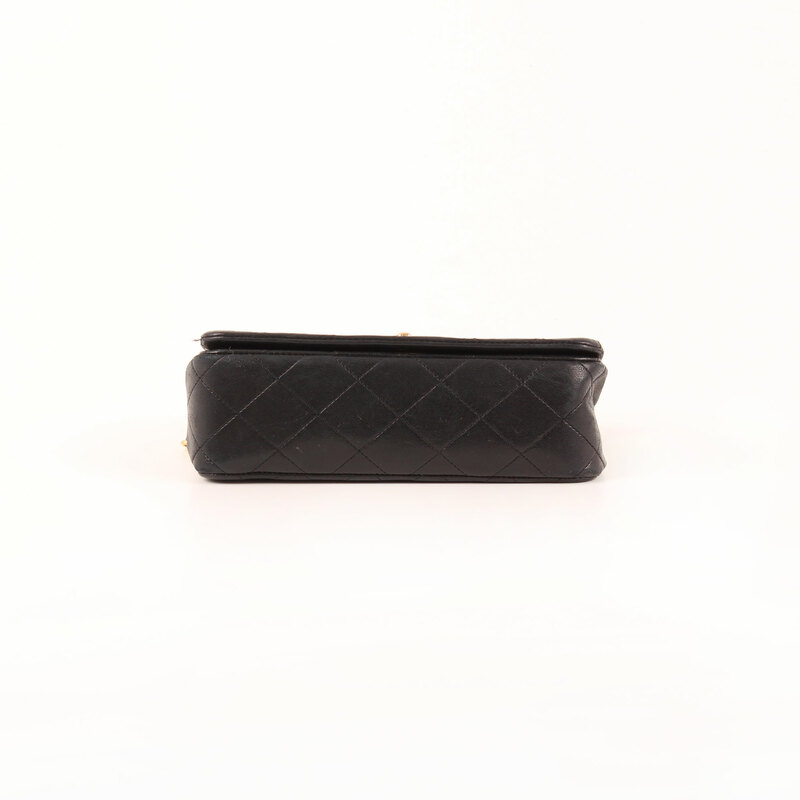 A perfect piece made of clean, straight lines. 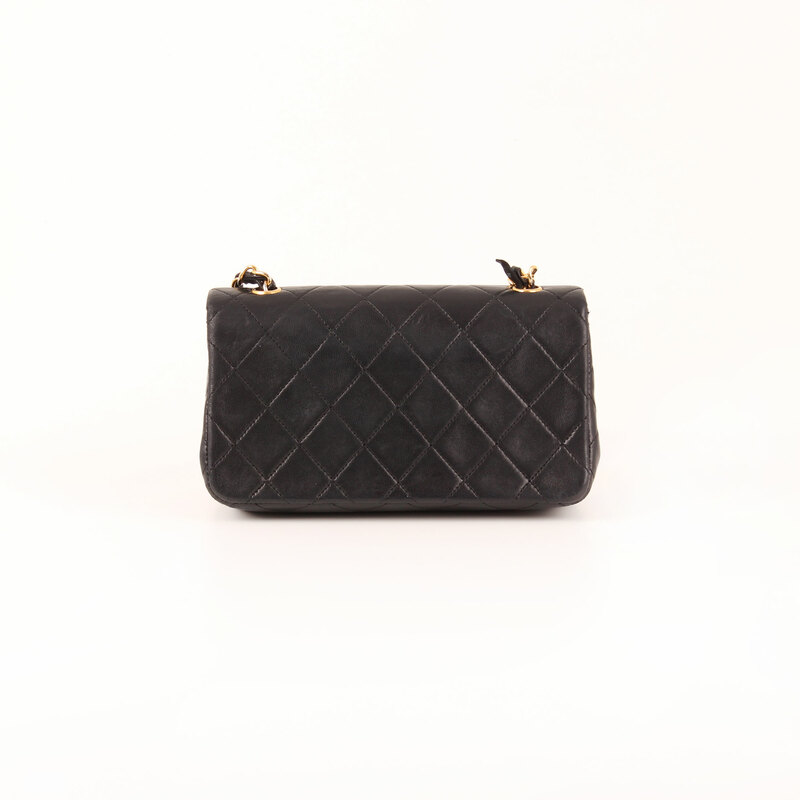 It will be just the right touch of smart chic to any outfit you think of. 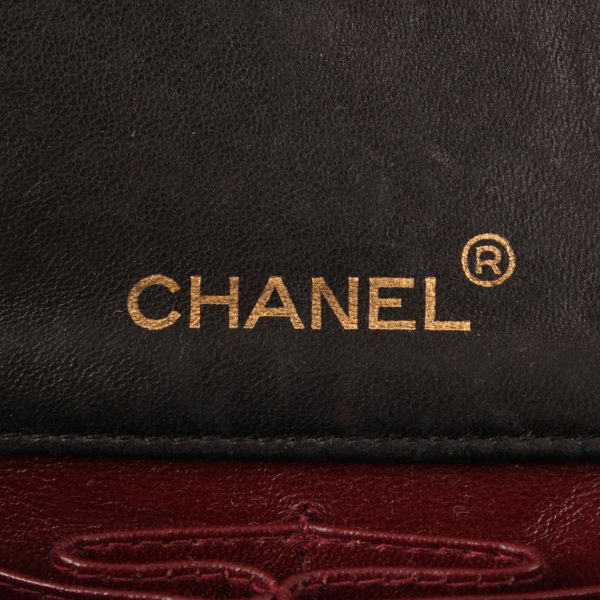 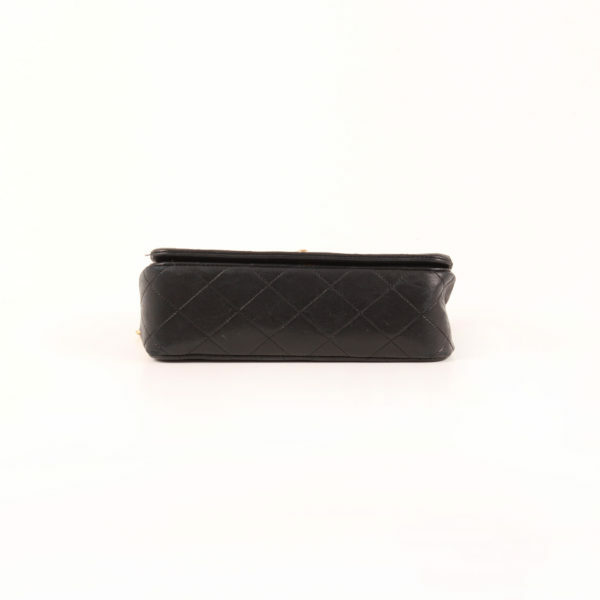 Vintage model Chanel Timeless Flap Bag. 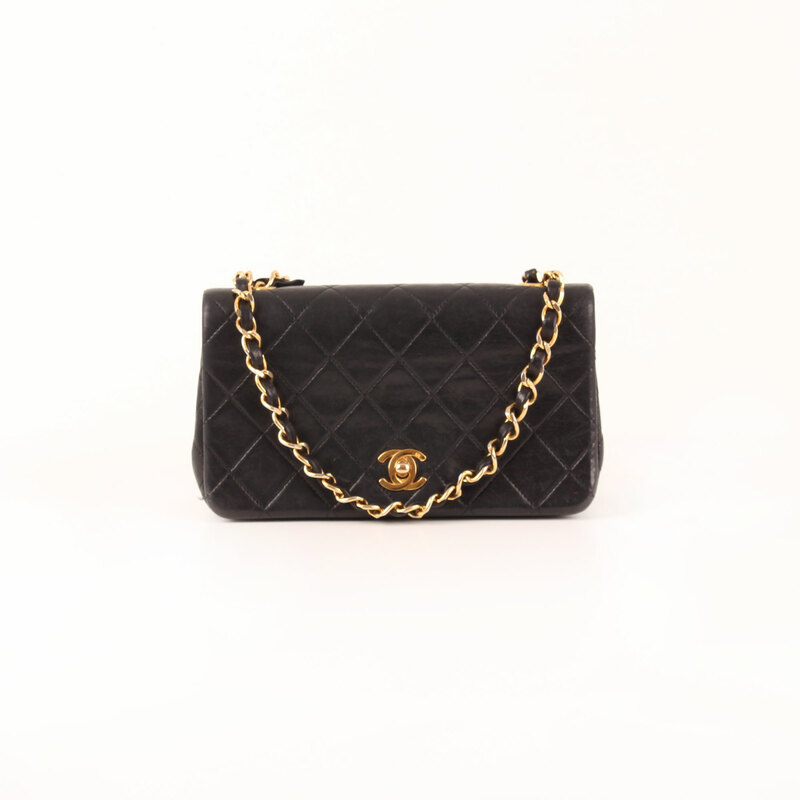 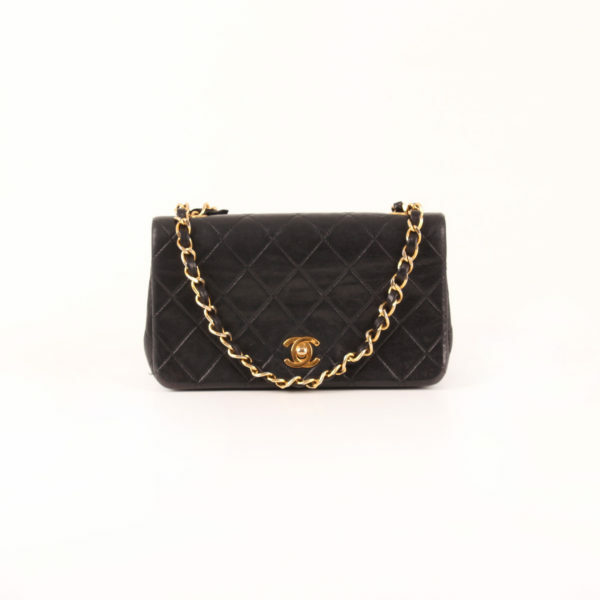 This wonderful handbag is made of black, quilted leather lambskin and gold hardware. 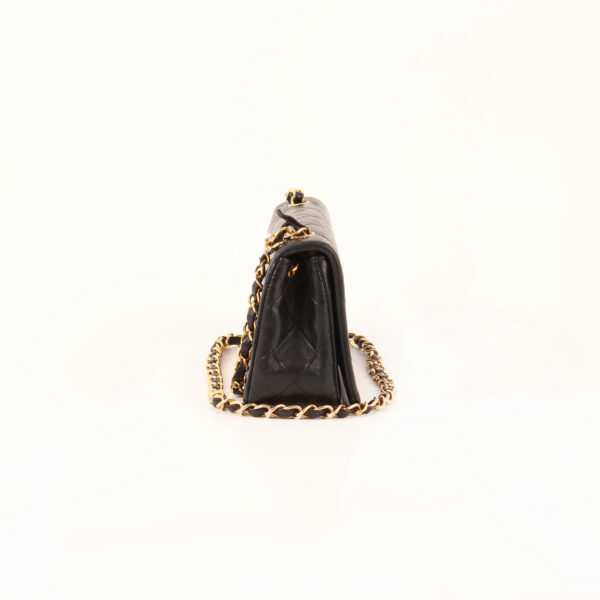 It has a long chain with interlaced metal and leather to carry on the shoulder or as a messenger bag. 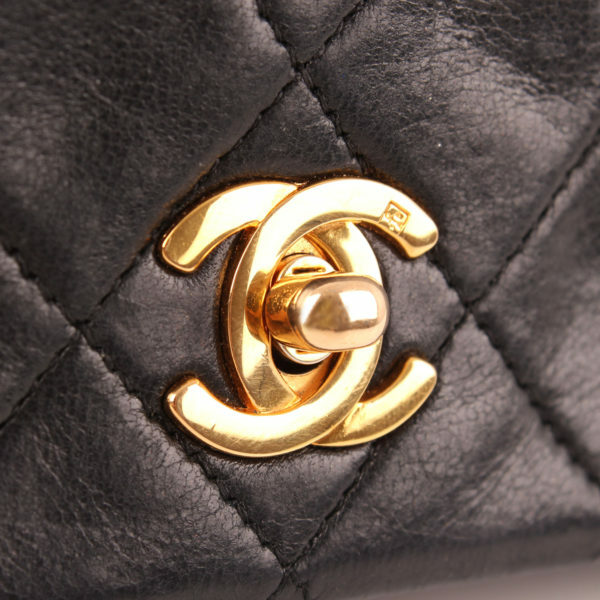 The closing flap covers up until the base of the the bag, where the classic CC turnlock fixes the flap. 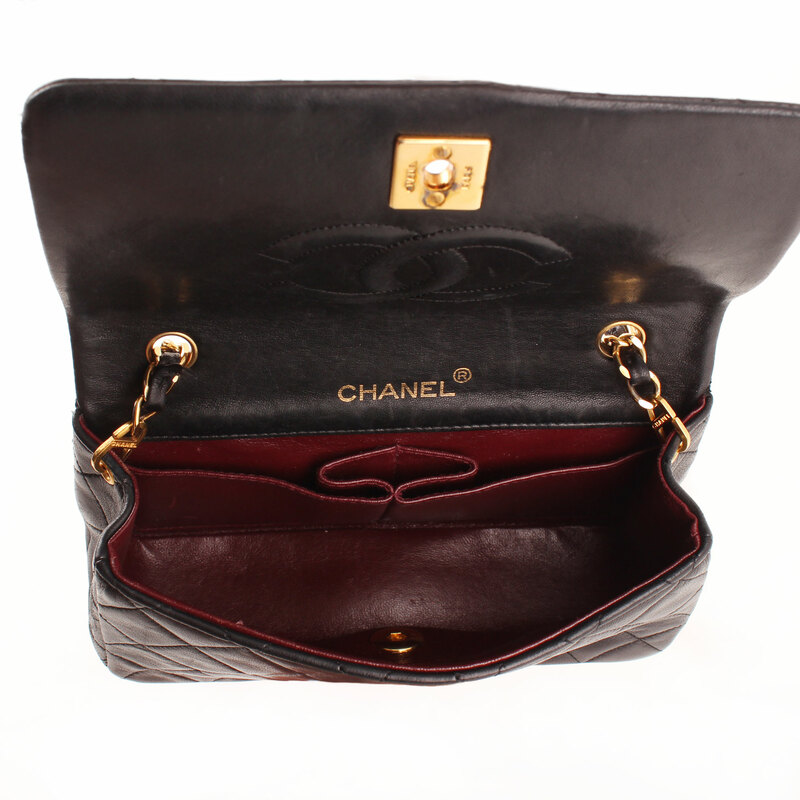 The handbag is composed by a unique compartment presenting burgundy lining with two open pockets. 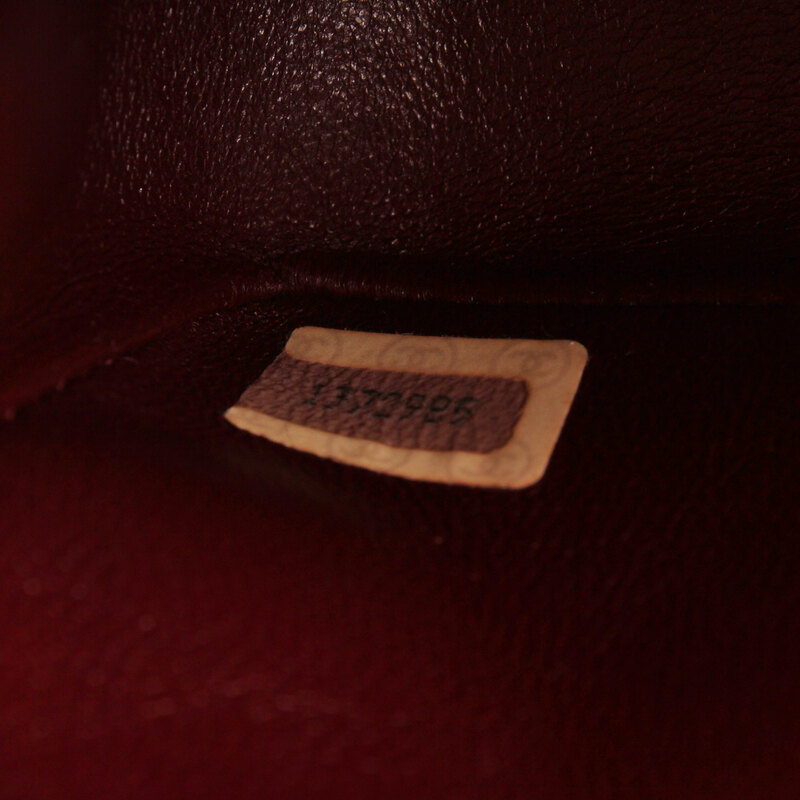 Details: Some light scratches in leather. 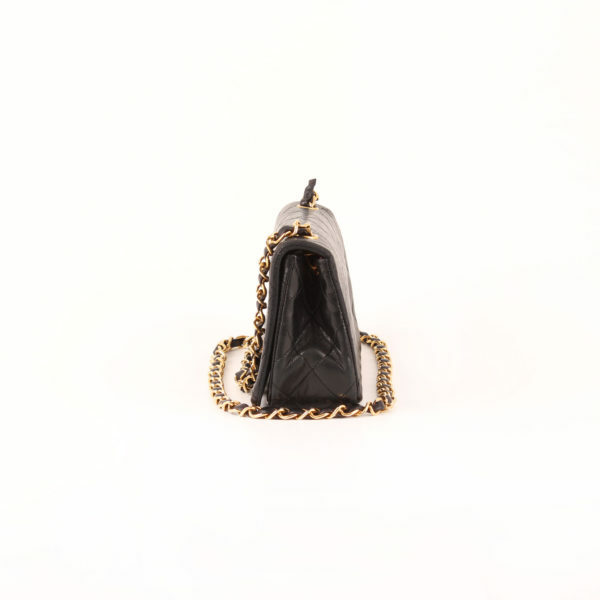 Signs of wear on corners at base.